SARASOTA COUNTY — Property owners whose homes are exposed to Gulf of Mexico waters because of critical erosion on Manasota Key could soon see some relief if the Sarasota County Commission approves a joint beach renourishment project with Charlotte County. The Sarasota County Commission on April 9 is expected to consider the joint project, which would restore roughly 50 feet of sand to the shoreline on a four-mile stretch from Blind Pass Park in Sarasota County to Don Pedro-Knight Islands Beach in Charlotte County. The total cost of the joint project is estimated at $35.3 million. The Sarasota County side has a projected cost of $7.7 million with the state covering $2.7 million, if the Legislature allocates the funding this session, according to Sarasota County documents. The Charlotte County side of the project is expected to cost just over $27 million, which includes a potential $9.4 million contribution from the state and an additional $1 million from the federal government, documents show. Roughly 879,000 cubic yards of sand would be used for the joint project, according to county documents. The sand would be taken from nearby offshore borrow areas. If both commissions sign on, the project could start sometime next year, documents show. Officials from both counties have said that joining forces to make the renourishment a regional project increases the chances of securing state funding. The regional project currently ranks third on the state’s list of requests, making it likely the funding from Florida will come through, officials said last month at a joint meeting between the two commissions. 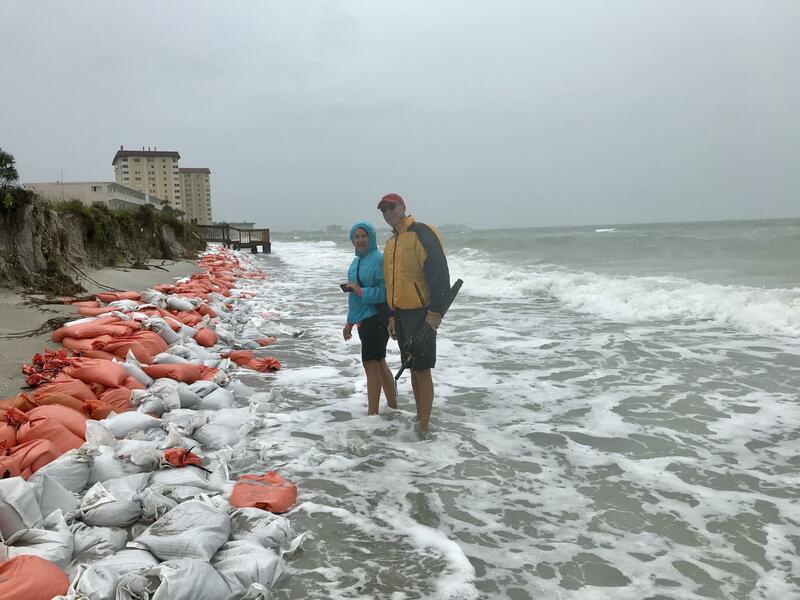 The erosion in some areas has become so severe that some structures are in danger, Rachel Herman, Sarasota County’s division manager of environmental protection, said. Property owners on the Sarasota County side of the project last month expressed how desperately needed the project is.